Our downtown Minneapolis dental team strives to improve the overall health of our patients by focusing on preventing, diagnosing and treating conditions associated with your teeth and gums. Please use our dental library to learn more about dental problems and treatments available. Fluorosis is a condition in which your body has been exposed to too much fluoride. In normal doses (typically found in a safe drinking water system and an ADA-approved toothpaste), fluoride is a healthy compound that promotes strong teeth, which has the ability to fight cavities and other problems. 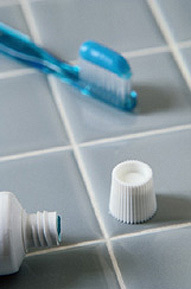 But sometimes, fluorosis occurs when fluoride-containing toothpastes or rinses are swallowed, instead of expelled. Fluorosis causes a number of aesthetic problems, including abnormally darkened or stained teeth. While such problems are generally harmless to your health, they can create concerns with your appearance.